This dim view of Arabic-language children’s publishing spurred Sheikha Bodour into action. In 2007 she founded both her own publishing house, Kalimat, and the Arab Children’s Book Publishers Forum, a trade organization which now boasts 60 members. This year, Sheikha Bodour enlisted UAE telecommunications company Etisalat to sponsor a significant new book award: The Etisalat Award for Arab Children’s Literature, promises one million dirham ($270,000) to the best Arabic children’s book of the year. The prize money will be split between the publisher and authors and/or illustrators. The prize, together with the Abu Dhabi-based Sheikh Zayed’s Book Awards – which offers an additional 750,000 dirhams for children’s publishing – should be plenty of motivation to step up their game. In addition to encouraging better publishing practices, Sheikha Bodour would like to see a commitment among publishers to produce more titles written specifically for Middle Eastern and North African children. 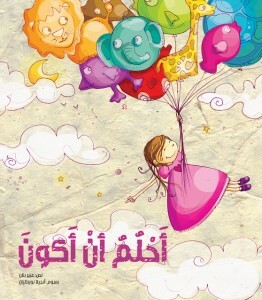 VISIT: Kalimat and the other members of the Arab Children’s Book Publishers Forum at BookExpo America, Booth 2422. HEAR: Sheikha Bodour al Qasimi discussing Arabic children’s publishing at BEA on Friday, May 29, 11:00AM – 12:00PM, Room 1E02.